By Pamela C, Milwaukee WI Milwaukee Health Services, Inc. celebrated “Transforming Health Care in Our Community” with an Open House of its newly renovated and expanded MLK Heritage Health Center on Saturday, May 25, 2013. 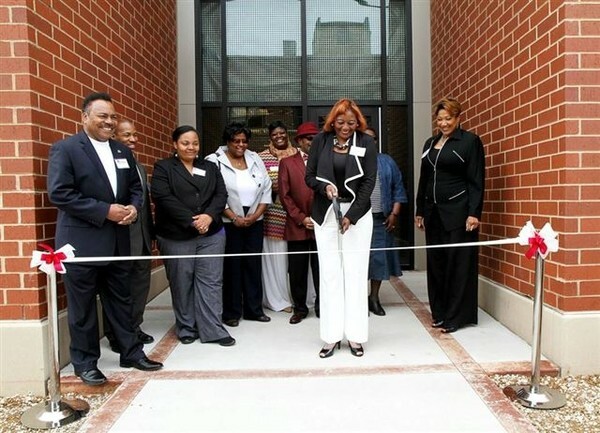 Milwaukee Health Services, Inc. (MHSI) celebrated with an Open House and Special Dedication to C.C. Henderson President/CEO (2002-2010) Saturday, May 25, 2013 from 10:00 a.m.to 2:00 p.m. at their MLK Heritage Health Center location at 2555 N. Dr. Martin Luther King, Jr. Drive. The transformation will increase organizational effectiveness, efficiency, quality of care, and improve patient outcomes as the Health Center will be able to house additional providers and support staff, while improving patient flow. MHSI has also reinstituted Behavioral Health services at the MLK location and now provides counseling and therapy, as well as individual and group patient education. The Health Center is projected to serve an additional 3,841 consumers and provide 10,200 more patient visits annually. The $6 million renovation and expansion was financed with participation from PNC Bank, IFF-a community development financial institution, a $1.3 million Capital Improvement Program grant to expand medical capacity from the American Recovery and Reinvestment Act’s stimulus plan and operating funds generated from the center. The facility is designed as a patient-centered medical home with the highest standards of efficiencies in mind. Health Center hours are 7:30 a.m. to 7:30 p.m. Monday through Friday 10:00 a.m. to 2 p.m. Saturday. Same-day appointments are available. As a Federally Qualified Health Center, services are delivered regardless of ability to pay, offering a sliding fee scale for the uninsured according to household income. To tour the MLK Heritage Health Center or to schedule an appointment, please call 414-372-8080. The mission of MHSI is to provide accessible, quality primary and related health care services to Milwaukee residents, with the continuing emphasis on medically-underserved families and individuals. MHSI operates the Martin Luther King, Jr. Heritage Health Center at 2555 N. Dr. Martin Luther King Drive, Isaac Coggs Heritage Health Center at 8200 W. Silver Spring Drive and the MHS Convenient Care Clinic located in the Midtown Piggly Wiggly at 4061 N. 54th St.